A to Z success with Indiegogo! 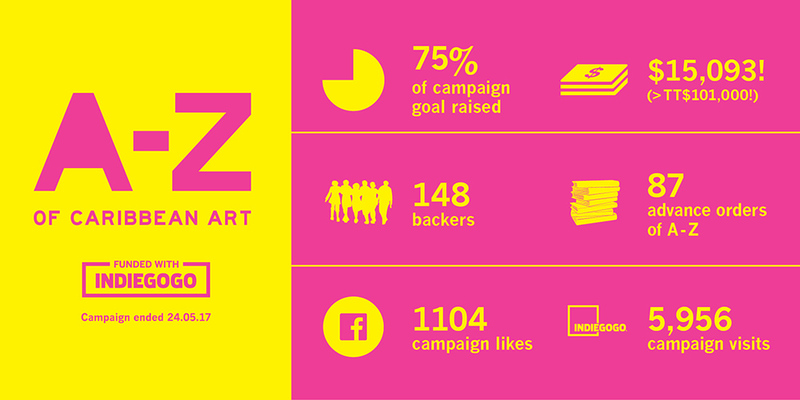 Our recently concluded crowdfunding campaign for A to Z of Caribbean Art has been a great success and brought us a tremendous boost as we move forward with work on the book. Thank you so much to everyone who backed our campaign or shared our links or encouraged others to support. We really couldn’t have done it without you! Previous PostPrevious We’re crowdfunding our next book! Next PostNext Perks en route!